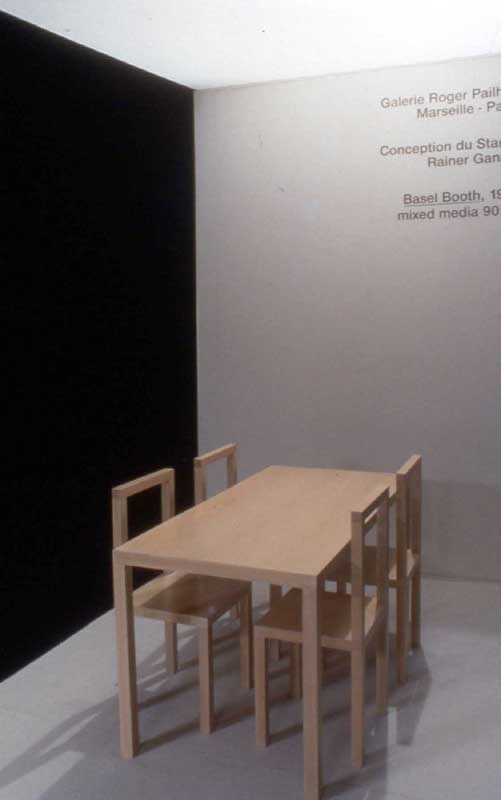 Roger Pailhas invited me to design his booth for the Art Fair Basel, 1993. My idea was to create a slide show theater with exclusive presentation of all the works on slide. 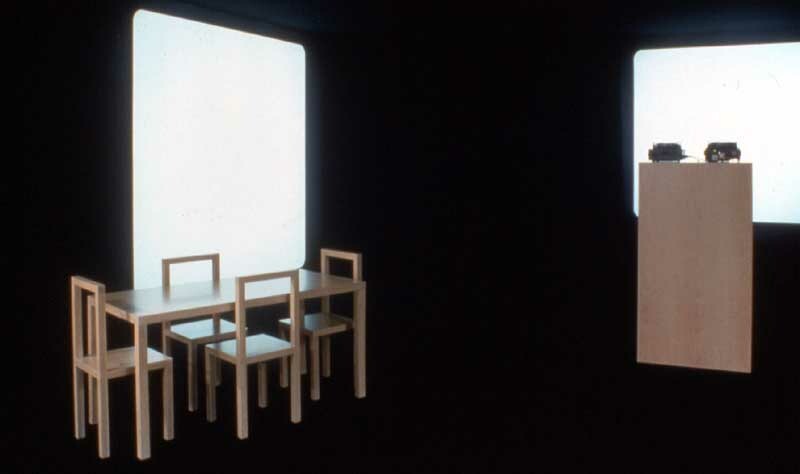 Three slide projectors were used. 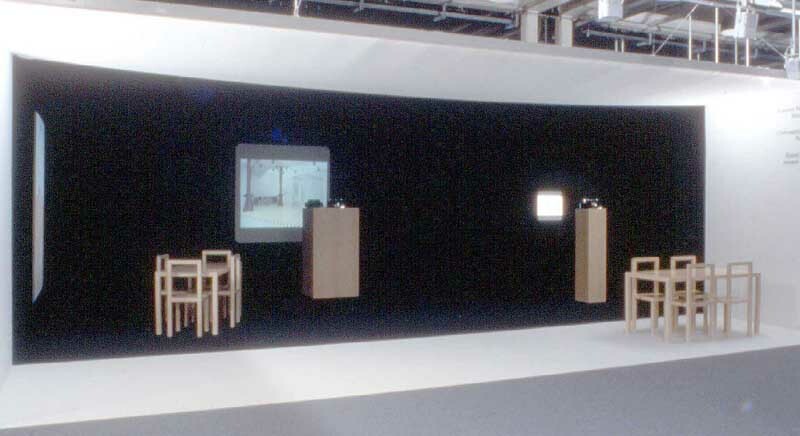 I designed two tables, 8 chairs, three stands for slide projecters, and asked to make a black box with white projection surfaces and white entrace border.The booth was covered with a roof.